Globalization defines our era. While it has created a great deal of debate in economic, policy, and grassroots circles, many aspects of the phenomenon remain virtual terra incognita. Education is at the heart of this continent of the unknown. 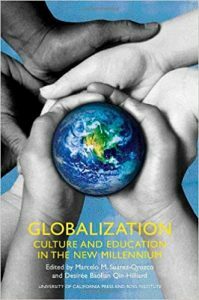 This pathbreaking book examines how globalization and large-scale immigration are affecting children and youth, both in and out of schools. Taking into consideration broad historical, cultural, technological, and demographic changes, the contributors—all leading social scientists in their fields—suggest that these global transformations will require youth to develop new skills, sensibilities, and habits of mind that are far ahead of what most educational systems can now deliver. Drawing from comparative and interdisciplinary materials, the authors examine the complex psychological, sociocultural, and historical implications of globalization for children and youth growing up today. The book explores why new and broader global visions are needed to educate children and youth to be informed, engaged, and critical citizens in the new millennium. Published in association with the Ross Institute.